Have deals ever gone wrong for me? I could have given this article the title of “Deals Gone Wild!” But it’s really more like wildly off the tracks for various and different reasons. In fact, 7 times I’ve had deals go belly up, which cost me $1,000,000+ in the long run. Even so, these failure events — and that’s all they are — taught me to be a better entrepreneur and investor. They didn’t stop me from moving my needle forward, and there’s no way I’d ever let them stop me from participating in real estate investing. I don’t want you to ever stop because you’ve made some mistakes, are still in a learning curve or you had a couple of big, bad failure events. Like they say, so what? Now what?! I started too late. The same friend who asked me SEVERAL times to get involved in real estate investing that I kept ignoring… that same person I kept turning away time and time again until one day when something clicked and I said YES… went on to earn MILLIONS of dollars by the time I did finally decide to get involved in real estate investing. Letting fear control me and stop me from taking action. It was like waiting for all the lights to be green before you leave your house to head to the grocery store. That would be silly, right? You’d never leave the house. You have to start taking action even when you don’t know how to do everything yet. You don’t have to see the clear path that leads directly to the destination. Sometimes you need to believe you’ll get there and jump in the car. I waited too long to hire a team. You don’t have to do everything yourself; you don’t have to wear all the hats. But that’s something we all have to learn over time. One of the things I struggle with is the accounting side of the fence. However, when I started out I thought I could save money by doing my own books. A little beyond my 90th transaction, I had zero accounting of the monies in and monies out. That was a problem, especially come tax time. By the time I finally gathered the courage to hire someone to do the accounting and help me figure things out, well, things were pretty off track. The accounting person came to me to find out where $400,000 went. If we didn’t go back through all our transactions to find the path of that money we were going to be hit with a really huge tax bill. So it wasn’t something we could avoid doing. (That mistake easily cost me $150K to get straightened out.) The good news is that it was indeed straightened out, but it took a while. The other good news is that I now have an excellent CFO and my accounting is in good shape. I partnered with the wrong people. You don’t have to be the expert at all things in your business. You can leverage other people’s time, energies and knowledge to get things done and reach your goals. That means you will partner with other people.Please do not misunderstand me. This doesn’t mean you have to be legal partners; rather you can leverage by paying and partnering in different ways. I learned the hard way that partnerships are the only ships designed to sink! In the case of rehabbing properties, I am not the person to swing the hammer. I’m not the guy wearing the hard hat who will direct the crews. Long story short, because I felt like I was the weakest link (because I didn’t have those skills) I abdicated my power to others who said they could choose the crew and make the decisions about a fix-n-flip deal. I trusted a partner to do this part of the job in a deal. Unfortunately, that’s not what happened. I didn’t structure my deals in the best ways. Long story short, in the beginning when I was learning to be a better negotiator, I left a lot of money on the table.Simply put, I wasn’t structuring my first deals as best I could. That’s where my Profit Analysis Quadrant or P.A.Q. tool came from. I had to develop something that would help me explain deals and returns that I could see on paper to help me do the math and that I could easily show investors. I had a single point of failure. One of my larger mistakes is that I had only ONE person in charge of the property management and the rehab.That’s called a “single point of failure” and it’s why I have people standing by for every job who can step in and take over if another person doesn’t work out. BTW, this was an $800K mistake. You know how I know this exact number? Because that’s what the court awarded us at the end of the day. These are just 7 of my mistakes. I promise you that I’ve made more than that, but these are the most costly. While mistakes are just a part of your learning curve, maybe this article will help you avoid a few along the way. At the very least, perhaps this article will open your eyes so you can start questioning things you’re doing a bit more in depth. Don’t be so trusting. Do your due diligence on every deal and everyone you deal with!! That goes for literally any strategy inside real estate investing you choose to use. 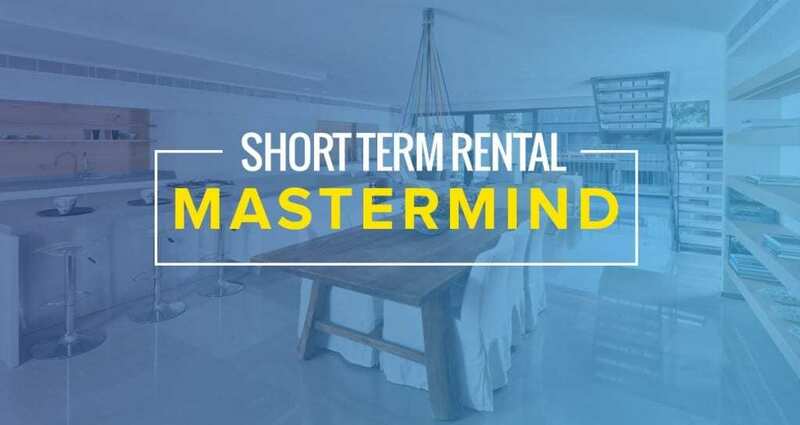 That includes short-term rental properties (STRs for short). While this strategy is certainly less complicated than others when it comes to cashflow-producing real estate-related transactions, it’s easy to make mistakes unless you know what you’re doing.